I always have bags full of nature treasures my kids collected from various outings lying around the house that I swear we are going to craft with once inspiration hits. Needless to say, our collection of pinecones, sticks, and shells is growing fast and I am guessing you have the same type of collection because kids are kids and they can’t help but collect the cool things they find. 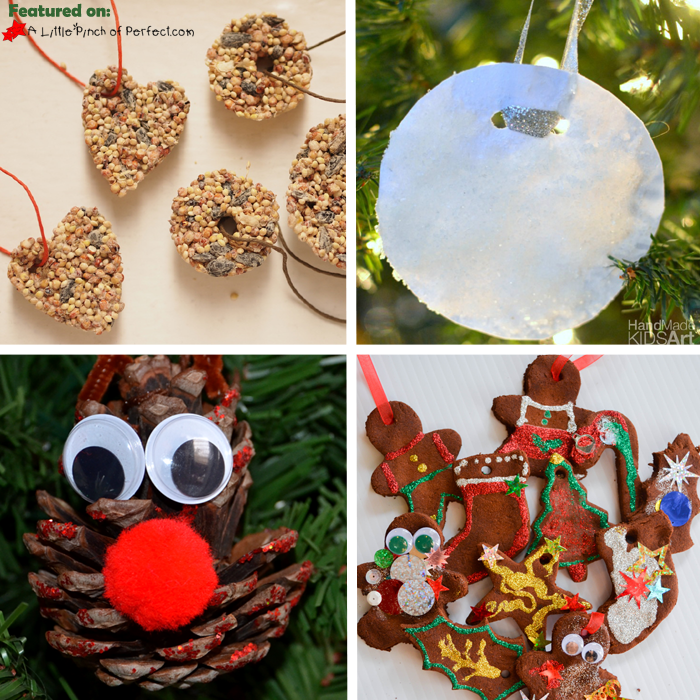 Don’t worry because I got you covered with 10 easy holiday crafts to put that collection to good use while decorating your Christmas tree this holiday season with adorable homemade ornaments. Nature crafts are one of my favorites because they bring back fond memories from when they were gathered, the supplies don’t cost a thing, and best of all nature is beautiful making it easy to make a lovely craft! Click on each link below to find the directions for each craft.